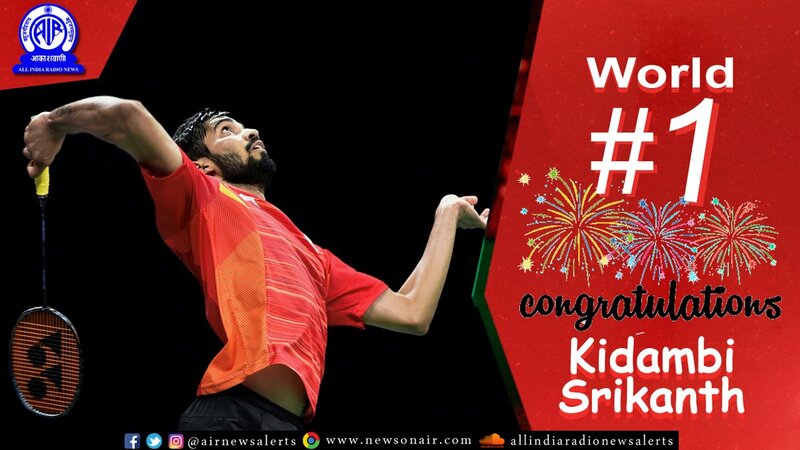 Ace Indian shuttler Kidambi Srikanth today became World number 1 in men’s singles category after Badminton World Federation updated its weekly rankings. He overtook World Champion Viktor Axelsen at the top of rankings with 76,895 points. Srikanth has now become the first Indian male shuttler to achieve the feat in modern ranking system. He joins Saina Nehwal to become only the second Indian to achieve the feat.